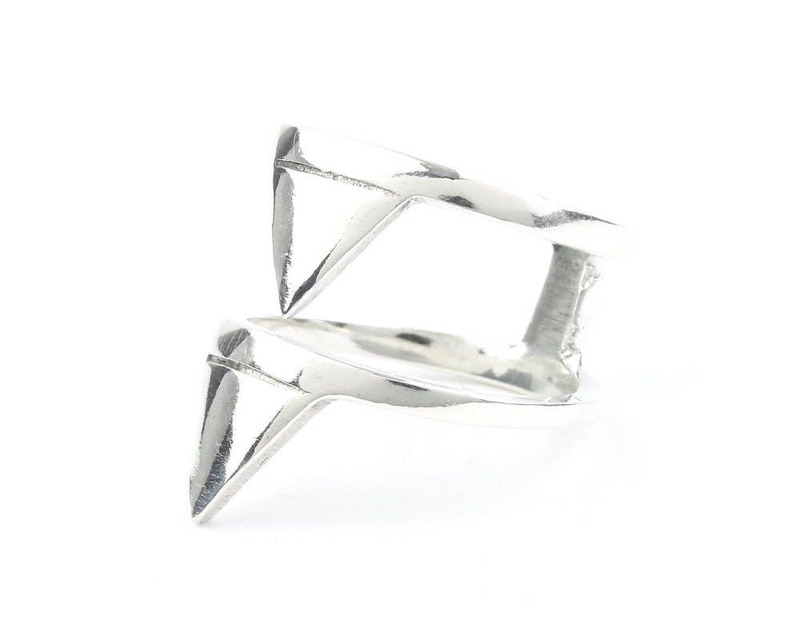 Sterling silver geometric double triangle design ring. 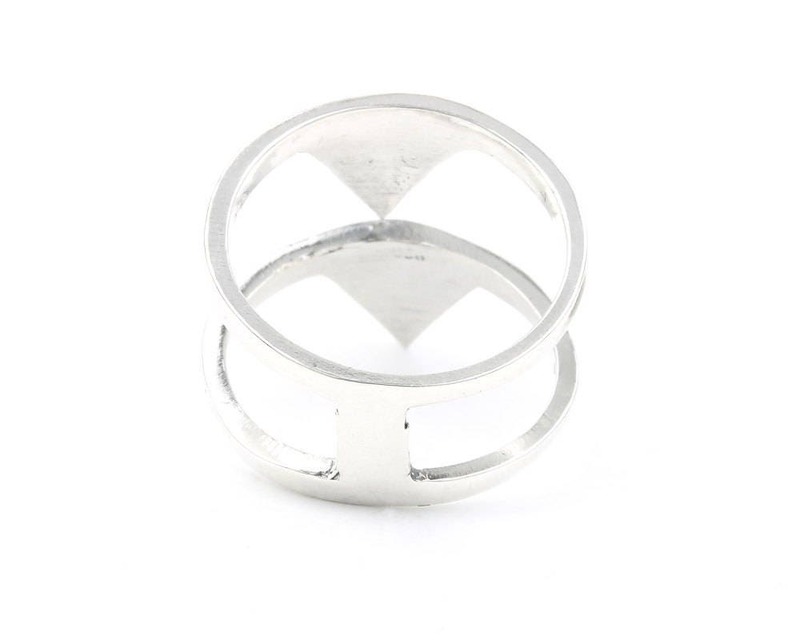 Ring gives the look of wearing 2 rings stacked on the finger. 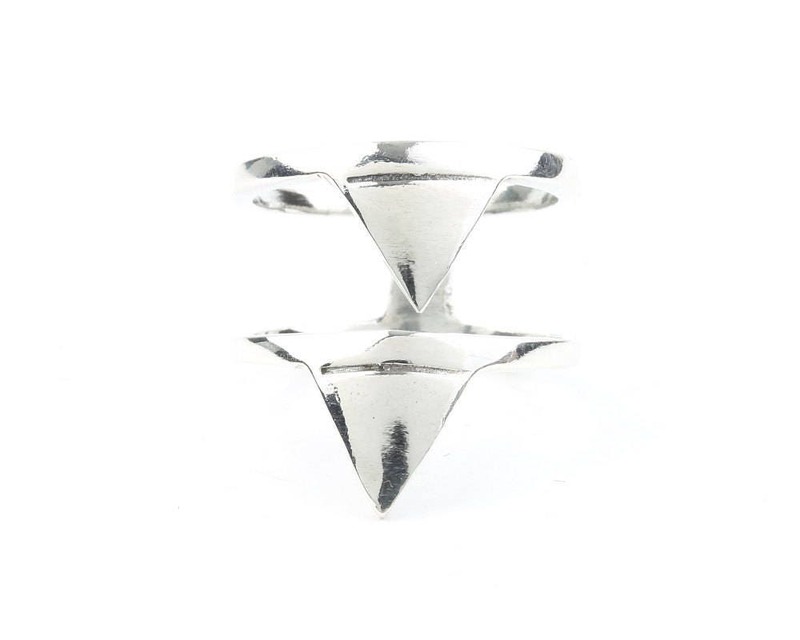 Easy to pair with other pieces or all on its own.